Sorry for the delay, regarding a new article. With the overwhelming success of the site, several individuals have contacted me, providing information and pictures. So basically it has been a week of fact finding, scanning new photos, and gathering content for new stories to share. One of the things I have been doing for individuals that aren’t able, is to scan all their old photos and then then give a digital copy back of them. This way they can share or email to distance relatives and friends. This also helps to easily access them, and possibly move to a permanent place of storage for the originals. Also I can come to your residence and visit, photographing some of your photos and sharing historical pictures I have to gather information that our readers would enjoy. Recently some photos came about from Mrs. Albert Lasher, who saw her neighbor Rob Shick on the local council meeting speaking about the No. 6 Firehall. She then provided him with older pictures, of which some were lost treasures. One of these photos below, is Wickboro #3 Fire Co. 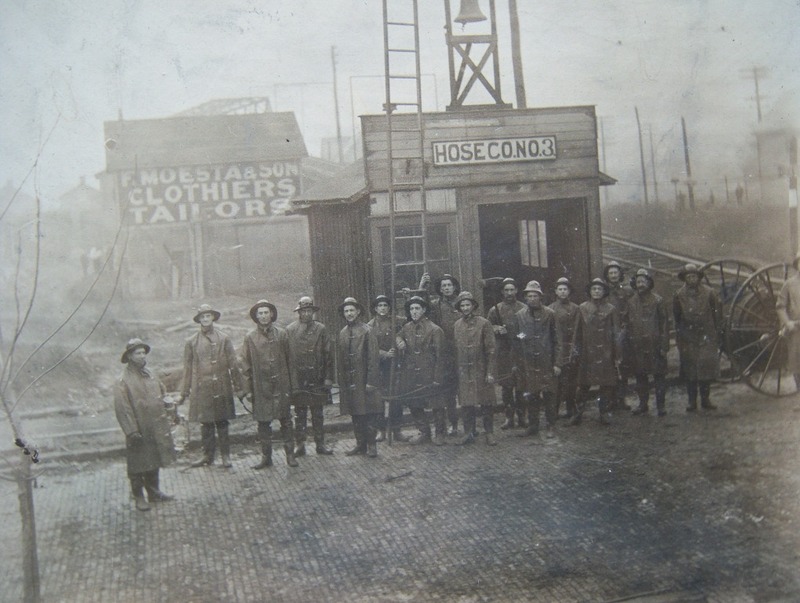 This Fire Company wasn’t in existence for very long, and changed locations at least once, if not more. Some accounts have it on North Ave. and East Chestnut St. later on. Shown below is the Fire Company on Woodward Avenue facing east. 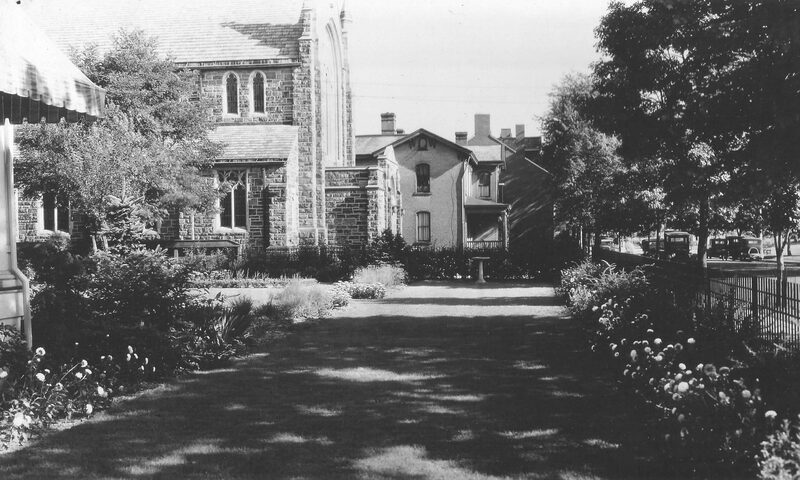 From maps and other sources, it was a little south of the Church of God that stands there today. From the photo one landmark that existed to the right, is the trolley tracks. Barely noticeable in the background it shows the elevated tracks and bridge that carried it across the Railroad tracks which ran along N. Grant Ave. The trolley continued into the old IUP lot(current Kittanning Cottages) which was a station house before turning south on N. Mckean St.
Wick Boro No. 3 Fire Co. I ‘ve seen a few articles regarding this Fire Co. and hope to discover some names. This way our viewers can help assist in identifying any relatives that may be shown. Chris Anthony has done extensive research on the Fire Companies and future in-depth articles will appear. 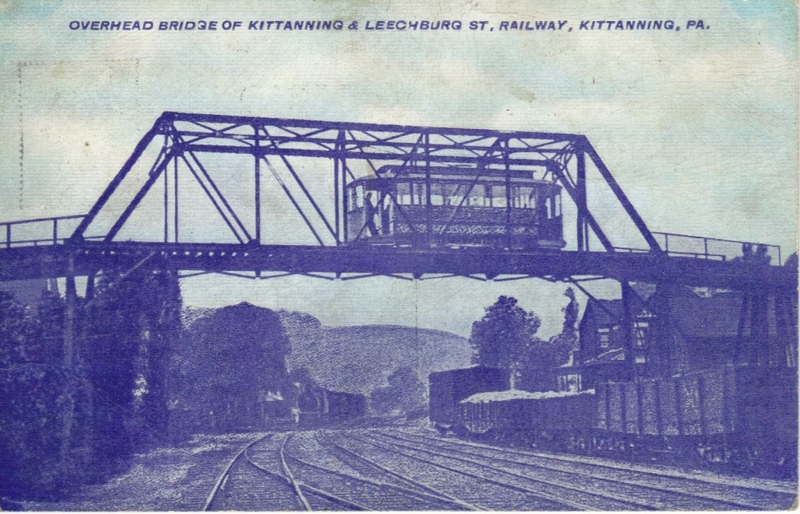 Shown below is the actual Elevated Bridge from an Old Kittanning Postcard. This in conjunction with the photo above, shows the continuation of the tracks the trolley would have traveled on. The road and intersection shown here are Chestnut St. where it comes to the “T” at N. Grant Ave. This gives a relative distance from Chestnut St. to help pinpoint the location of the crossing. Chestnut Street in the background, intersecting with N. Grant Ave. at the right of the picture.